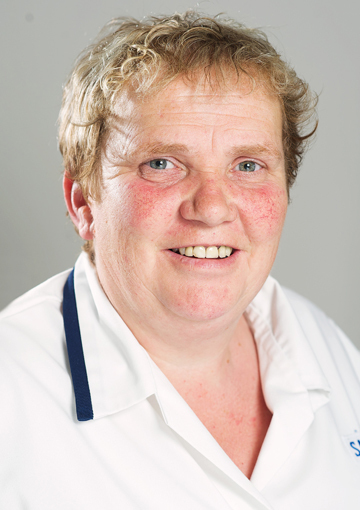 Sandra is a Care Assistant at Royal Alfred and has worked with the Society for more than 20 years, starting as a laundry assistant in 1994. Her care career began when the last Matron, Miss Hamilton, asked her if she wanted to help out as a care assistant on nights. Sandra has completed a range of training since working with the Society and is now NVQ Level 3 qualified. She enjoys her job tremendously as every day brings something new. She is a great example to other team members and makes a point of always being available for residents, listening and helping them with any problems they might raise.